Nitin Sharma received the B.E. degree in Industrial Engineering from Thapar University, India, in 2004, and the M.S. degree and the Ph.D. degree in Mechanical Engineering from the Department of Mechanical and Aerospace Engineering, University of Florida, Gainesville, in 2008 and 2010, respectively. He was an Alberta Innovates-Health Solutions Post-Doctoral Fellow with the Department of Physiology, University of Alberta, Edmonton, Canada. Since 2012, he has been an Assistant Professor with the Department of Mechanical Engineering and Materials Science, University of Pittsburgh. His research interests include the modeling, optimization, and control of functional electrical stimulation-elicited walking. He has won O Hugo Schuck Award for the Best Application Paper from the 2008 American Control Conference. His current research in hybrid exoskeletons is funded by three NSF awards and one NIH R03 Award. 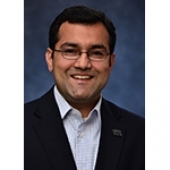 He won NSF CAREER Award in 2018.